Now, if you were an NBA GM and had to choose a point guard to build your franchise around going forward with no other information to go on besides these two tables, which one would you choose? Let's call them Players A, B, C, and D. Just to be clear, this is not a trick question -- you can't really go wrong. Between them, the four players have been selected to 21 All-Star Games and 16 All-NBA teams. Without knowing anything else, most GMs would probably choose Player B, and it would be a wise choice: Player B is the Point God, Chris Paul. Most would probably shy away from Player C, and even with some of the shine coming off his star lately, we're still talking about a 5-time All-Star in John Wall. So that's the range. Let that sink in for a moment. We tend to write the book on these highly-touted prospects way too quickly, especially if they disappoint us early on in any way. In Fox's case, he shot up draft boards after some spectacular performances as a freshman at Kentucky, in particular when he dropped 39 points and eviscerated Lonzo Ball in a Sweet 16 victory over UCLA. When Kentucky lost to UNC in the Elite Eight, it was reported Fox (and fellow one-and-done Malik Monk) were seen sobbing uncontrollably in the locker room afterward, in spite of (or perhaps because of) the knowledge they were both on their way to untold NBA riches. [Contrast this with the attitude of, say, DeAndre Ayton, the 2018 no. 1 overall pick, who put up an unforgivable stink bomb of an effort in his lone NCAA Tournament game vs. SUNY Freaking Buffalo, and then announced he would go pro IN THE LOCKER ROOM IMMEDIATELY AFTER THE GAME.] Even with these pieces of evidence staring us all in the face, we debated endlessly before the draft about whether the best NBA point guard in the class would be Lonzo Ball... or Markelle Fultz. Fox was drafted fifth overall in 2017 by the perennially crap-tastic Kings, and his narrative began to be written for him. Despite his blazing speed, eye-popping athleticism, fiery competitiveness, and genius-level feel for the game, De'Aaron was knocked by scouts for his shaky outside shot and wiry build, and it was thought going to such a dysfunctional organization in Sacramento would more or less put the brakes on his career before it ever got started. The narrative was cemented further when Fox struggled out of the gate in his rookie season. He shot poorly from virtually everywhere on the floor, validating concerns about his shot mechanics and his ability to handle NBA length and physicality. 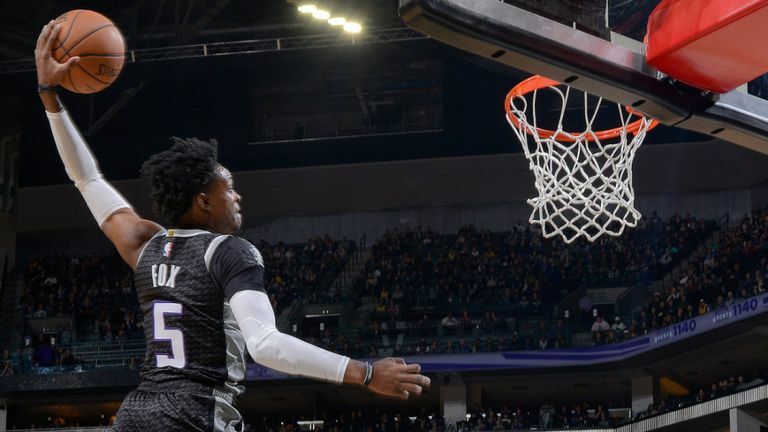 He rated as not just a below-average player as a rookie, but a sub-replacement level one, and the whispers that the Kings had burned another lottery pick on a bust grew a little louder. What the haters did not count on was Fox's maniacal competitiveness and desire to improve his game. He has come back in his sophomore season a totally different player. The numbers above speak for themselves, and handing him the reins to the offense in Sacramento has been the key to unlocking their fast-paced, spread-out style (2nd in pace, 5th in per-game scoring, 3rd in 3P%). The Kings have ridden this offensive wave to a surprising 19-16 record, good for 8th in the ever-changing Western Conference standings. 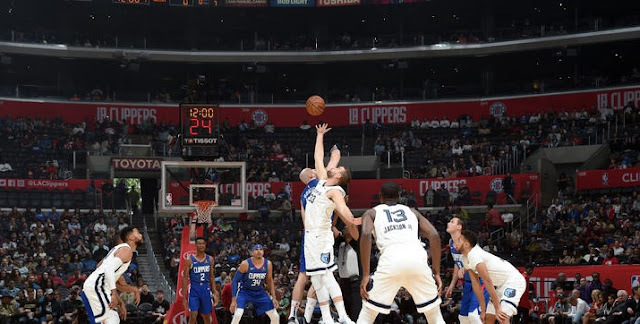 Fox's shooting has improved from every level of the floor, and in particular from deep, where he is up to 39.3% (vs. 30.7% last year) on 3.1 attempts per game. This massive jump in efficiency from the perimeter has created the defensive gravity to allow his previously suffocated drive-and-kick game the necessary breathing room which, along with the concurrent improvement of sharpshooter Buddy Hield -- as well as the addition of veteran stretch-4 Nemanja Bjelica -- have all contributed to the quantum leaps in Fox's scoring and assists. Fox just became legally able to buy a beer about a week ago, so we are still years away from his peak, and there are naturally a number of things for him to improve about his game. The Kings' organizational mandate to push the pace probably contributes to Fox's weak-looking individual defensive metrics, and expecting him to live up to CP3's defensive reputation (an unfathomable NINE All-Defense selections) is unreasonable, but a player with De'Aaron's combination of length, quickness, mental acumen, and commitment to improve should eventually turn into a borderline elite defender, or at the very least, a well-above-average one. In accordance with league-wide trends, he'll need to continue to work on his pull-up game to become a lethal go-to scorer in crunch time scenarios. The organization hopes he can develop a seamless pick-and-roll/pop chemistry with 2018 no. 2 overall pick Marvin Bagley III, as the interconnected ceilings of the duo will ultimately determine whether this version of the Kings tops out as a contender or just an also-ran. There will be kinks to work out and growing pains to endure. None of the hurdles feel too high for De'Aaron to clear. For the first time in a great many moons, the future of the Kings looks bright, and it starts with the All-NBA potential of Fox. As for those other three sophomore point guards we discussed earlier? Paul and Westbrook each made their first All-Star team in their third season, while Wall suffered injuries and didn't get there until his fourth. So if Fox is pushing the West's elite PGs for a spot on the roster next year, don't say I didn't warn you. And oh yeah, over this year plus the next four, the trio will earn a combined $554 million, so chances are Fox will end up pretty well compensated for his efforts, too. Way to go, youngblood.